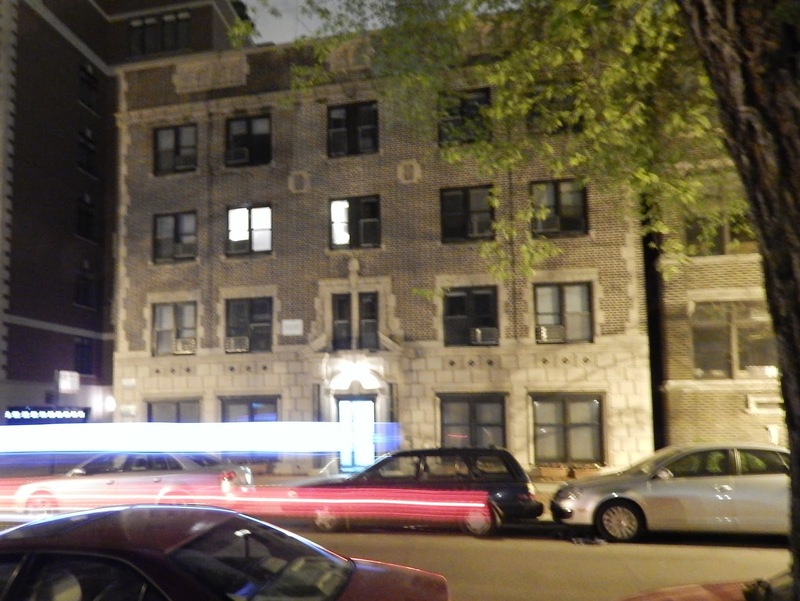 A 28-year-old man is in critical condition after suffering multiple stab wounds in a Boystown apartment early this morning. An offender, who is known to the victim, is in police custody. (Above) The suspect's blood stains a crosswalk at Aldine and Broadway. Officers were called to a third-floor apartment in the 500 block of W. Aldine after receiving reports of a man being stabbed in the back by a neighbor at 1 o'clock this morning. Upon arrival, police found the victim bleeding severely after being stabbed in his back, legs, thighs, and arms. He was transported to Advocate Illinois Masonic Medical Center. Lights shine from a 3rd floor apartment in the victim's building. 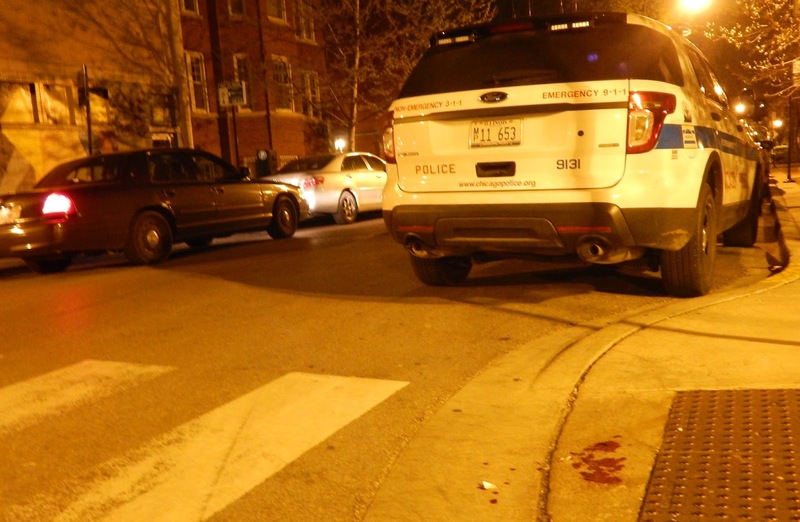 The 25-year-old suspect received stitches for a cut thumb at Masonic and is now in police custody. CWB has learned through a source that the two men are co-workers at a popular casual dining restaurant. We are withholding the suspect’s name because charges have not yet been filed.